Color Of Change is building a new, effective strategy for changing the rules society lives by, and ending the injustices Black people face. Color Of Change is the nation’s largest online racial justice organization. We help people respond effectively to injustice in the world around us.  As a national online force driven by more than 1.4 million members, we move decision-makers in corporations and government to create a more human and less hostile world for Black people in America. Our campaigns and initiatives win changes that matter. By designing strategies powerful enough to fight racism and injustice—in politics and culture, in the work place and the economy, in criminal justice and community life, and wherever they exist—we are changing both the written and unwritten rules of society. 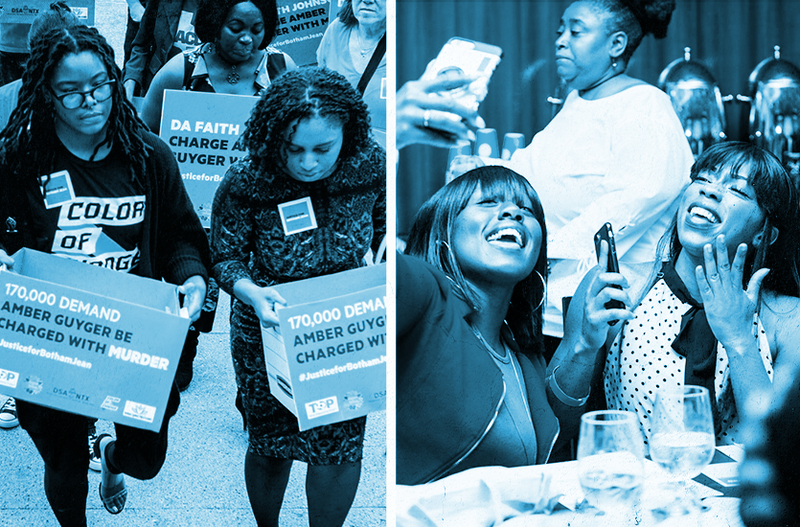 We mobilize our members to end practices and systems that unfairly hold Black people back, and champion solutions that move us all forward. 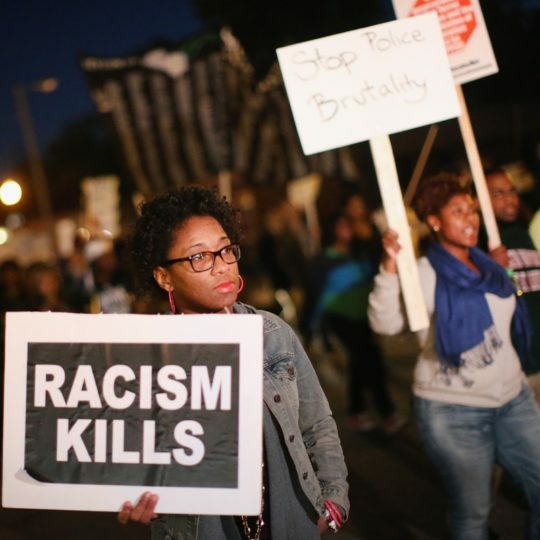 Color of Change leads strategic campaigns that build power for Black communities. We challenge and change injustices in the industries that affect Black people’s lives, and advance solutions for racial justice that can transform our world. The forces that shape our lives are interrelated. Racism cannot survive in one area without being reinforced by others. Racist policing requires racist media to keep going. Political inequality requires economic inequality to keep going. Unlivable wages require unchecked corporate power to keep going. We design integrated strategies, capable of changing the written and unwritten rules of the many domains that shape our lives. In the economy, racism takes the form of unfairly using the talent, labor and resources of Black people to profit anyone else but us. We see it in discriminatory workplace practices; predatory consumer products; cuts to investments in community infrastructure; and much more. We mobilize locally and nationally to increase momentum for changing these rules—ending exploitation and discrimination, and helping our communities build wealth and wellbeing. To succeed, we must change the media: ending portrayals of Black people that undermine our contributions, portray us inaccurately and dehumanize us. We must change the criminal justice system: ending the interruption of our personal and career growth through mass incarceration, and the drain on our communities through excessive ticketing and prison labor. Far too many people profit from moving millions of Black people through our criminal justice system—corporations, politicians, prosecutors. Profit is the real crime: the system incentivizes perpetual racism. But to dismantle these profit incentives, we have to rewrite the rules of our media, democracy and economy, too. 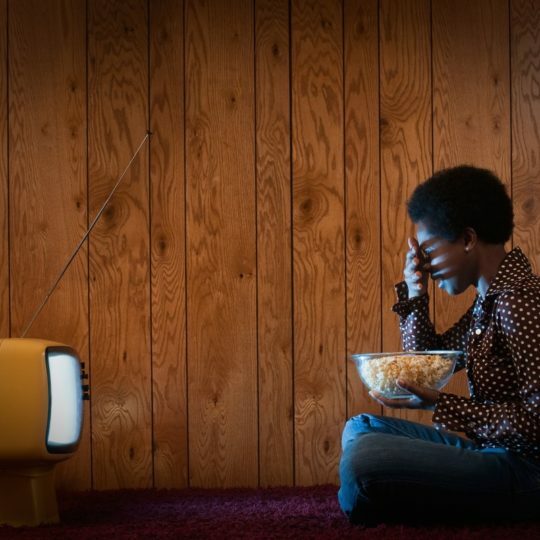 The media enable criminal justice profiteers: inaccurate, dehumanizing portrayals of Black people in news and entertainment feed the unfounded public demand for targeting Black people. Politicians enable them: consistently blaming society’s problems on Black people distracts us from tackling the real problems. Economic inequality enables them: disinvestment makes sustaining strong communities impossible. Political inequality enables them: outsized campaign contributions lead to bad decisions, instead of smart solutions. Media is content, and also technology. Media justice means ensuring fairness in the content we see. It’s also about protecting and expanding the ways we make our voices heard, and our rights as both consumers and employees in media industries. We are working to create a more diverse, fair and human media landscape, fighting inaccurate and dehumanizing portrayals in news and entertainment that breed hostility toward Black people. We are also ensuring that emerging tech services—and the executives running them—do not replicate historic patterns of racial discrimination in employment, or allow their platforms to be used in service of hate and discrimination. We aim to secure an open and accessible Internet, so we can organize and leverage our voices on every issue. Without a voice, we have no power. Without power, we cannot be free. As Black people, we know we have power when politicians, corporate executives and other decision-makers are nervous about causing us harm, and make decisions that work for the benefit of all. To end racism anywhere, we must keep building our voice and power everywhere. We must build a movement together, strategically. That means challenging laws that limit our freedom to vote, instead of expanding it. It means holding elected officials and corporate leaders accountable, beyond elections. And it means helping Black communities leverage new technologies for supporting our leaders, and making change. We work to strengthen all the ways Black people can be heard, and heeded. 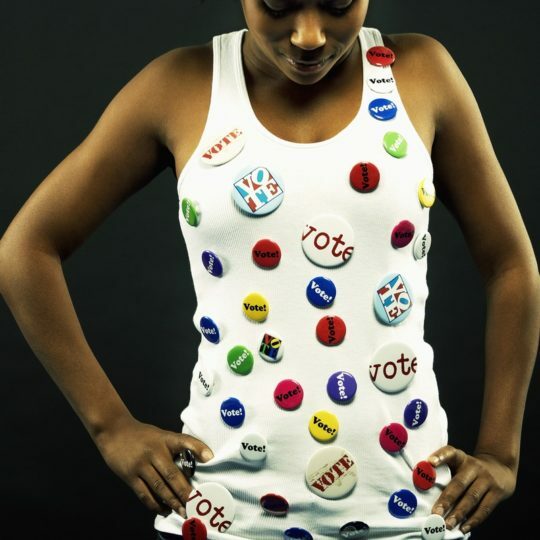 Black people have the power to shape the agenda for our most important elections. 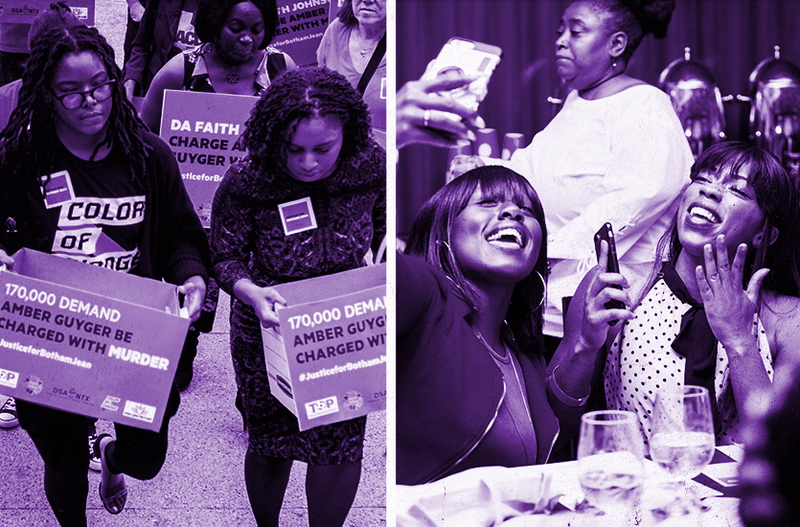 In 2018, Color Of Change is making sure that every candidate understands what’s at stake for Black communities, and the bold moves we expect from them to bring about justice. 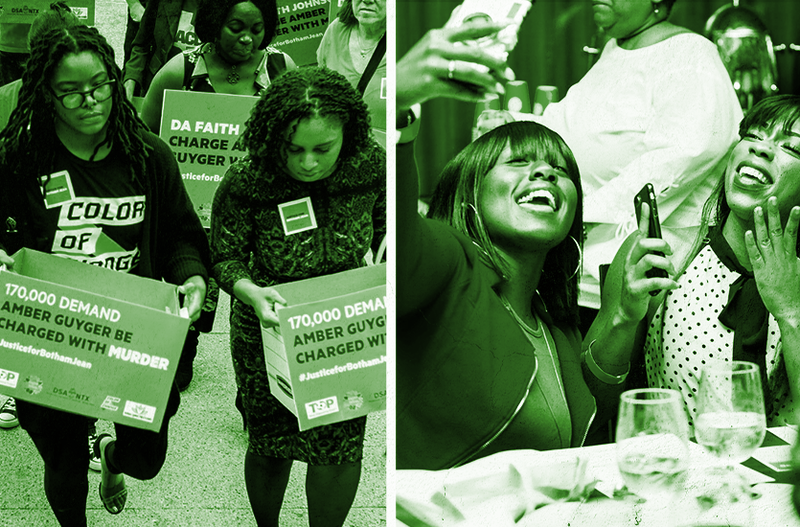 We are focusing on prosecutor elections—when popularized, they can motivate Black voter participation more than most others, and though they often run under the radar, prosecutor elections have an outsized impact on the life and wellbeing of Black communities. In 2018, our Black Women’s Brunches and Black People’s Brunches have brought together more than 10,000 people across 19 cities—most of whom haven’t been politically active before—to learn how to organize locally and mobilize friends, families and neighbors to make their voices heard. They are already raising the level of Black community involvement in the election cycle, and forcing candidates to make stronger commitments to ending mass incarceration and police violence. Our brunches are on track to host more than 20,000 people before the elections are over, and motivate tens of thousands more to participate in the electoral process. Content matters. The Hollywood Culture Project is an initiative to change the rules in Hollywood, ensuring accurate, diverse, empathetic and human portrayals of Black people on television and throughout the media landscape. Well-established research shows that repeated inaccurate and dehumanizing portrayals of Black people negatively influence people’s perception of Black culture, communities and individuals, leading them to actually treat us differently and unfairly in real life—in their role as voters, teachers, doctors, employers, judges, policy makers, police… even just as neighbors. Our programs support Hollywood insiders who want to improve standards and practices from within. Our campaigns directly challenge those profiting from dehumanizing us, holding corporate decision-makers accountable to the public. Public policies should benefit communities, not destroy them. Yet, the U.S. criminal justice system has always served as a way for those in power to control Black communities—suppressing our rights, impeding our growth, stealing our wealth, undermining our power and ruining our lives. Today, corporations, municipalities, prosecutors and politicians profit way too much from these practices, both materially and professionally. To increase their wealth and power, they unfairly and disproportionately exploit us through prison labor, excessive ticketing, over-sentencing, money bail, police militarization and violence. Outrageously, they even profit from criminal justice reform itself. It has little to do with crime or justice. And accountability is far too rare. Our campaigns bring the worst of these profiteers and policies into the light: ending perverse incentives, changing standards and norms, and increasing momentum for system changes that make communities stronger and safer. Reliability in the news is more important than ever. Who can we trust? Not surprisingly, when it comes to information about Black people, most news outlets that influence the thinking of decision makers and the public are not to be trusted. They inaccurately represent Black people as drivers of crime, mischaracterize and demonize Black protestors, under-play Black contributions to society, single out and attack Black mothers, and the list goes on. These inaccuracies and mis-representations are dangerous. They increase demand for disproven public policies that harm us. They also create warped perceptions of Black people that lead to real-world harms: when applying for jobs, seeking health care, interacting with police and prosecutors, trying to pass better laws, or just being a kid in a classroom. Through our News Accuracy Ratings & Report Card, we are exposing this deeply unfair pattern of inaccuracy, and creating a roadmap for improving standards and practices in the news. 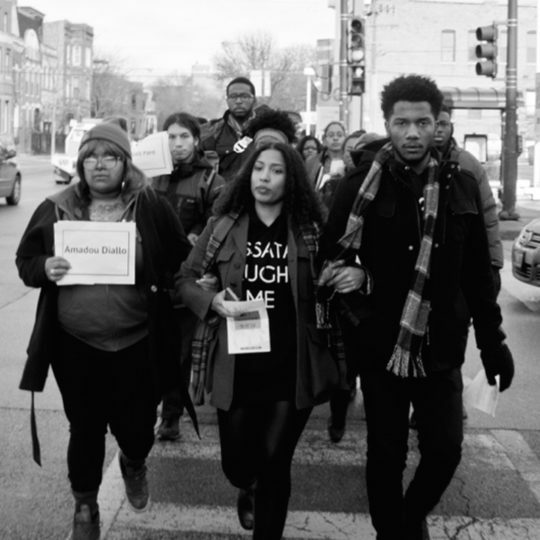 Justice for Black communities has never been automatic: we speak up to demand it, and organize to attain it. It often starts with a small group of people who see injustice locally—police violence, racist media, discrimination by a business, de-funding of our schools—and feel they can no longer remain silent. And in every era, Black people have pioneered new ways to build the power we need to get the justice we deserve. Today, more people than ever are ready to step up, but they don’t always have the tools and experience to leverage technology effectively and win. OrganizeFor is a petition platform and training resource launched by Color Of Change to help people in our communities effectively challenge the injustices affecting the people they care about—family, neighbors, friends and allies. We have also launched the Movement-Building Partnership Program to provide expert training, and a dedicated channel on our platform, for staff at ally organizations. ©2019 Color Of Change. All Rights Reserved.